I just love when readers contribute! Here are two images for magic statues that I've never seen. The first is a Tommy Cooper Jug. Tommy Cooper Toby Jug Collectors Guild 1996/97 by Kevin Francis Ceramics manufactured by Peggy Davies Ceramics. 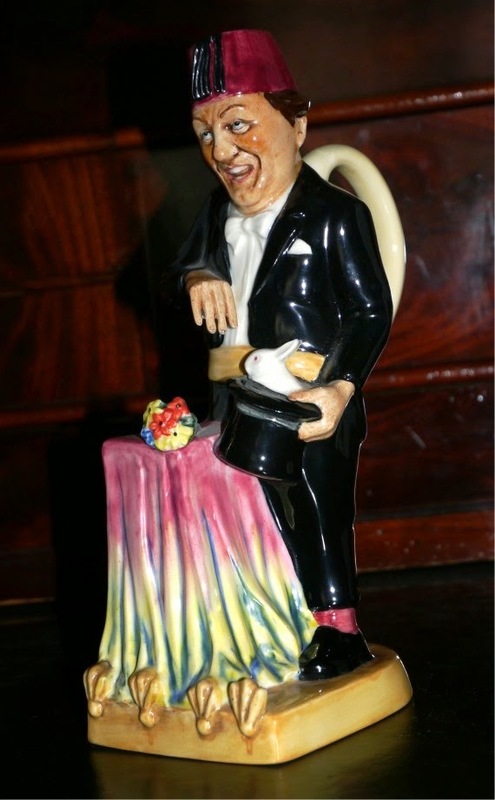 This 9.5" Toby Jug captured the great man on stage, wearing his trademark red Fez , matching red socks and black evening suit with white shirt and bow tie, pulling a rabbit out of a hat. Tommy Cooper is one of the few magicians to have a life size statue of himself as well. Next we have, a wooden figurine which is amazing. It's a female magician pulling a rabbit from a top hat. The figurine is the work of artist Ben Godi. This piece is made of wood as I mentioned, and has a run of 200. I read about the process on how he creates them and it's quite amazing. He begins by creating a unique hand carved figurine from wood. Then he has a machine that duplicates his figurine though he still has to go back and work on each of the 200 copies by hand to fix and imperfections and smooth them out. Simply amazing. 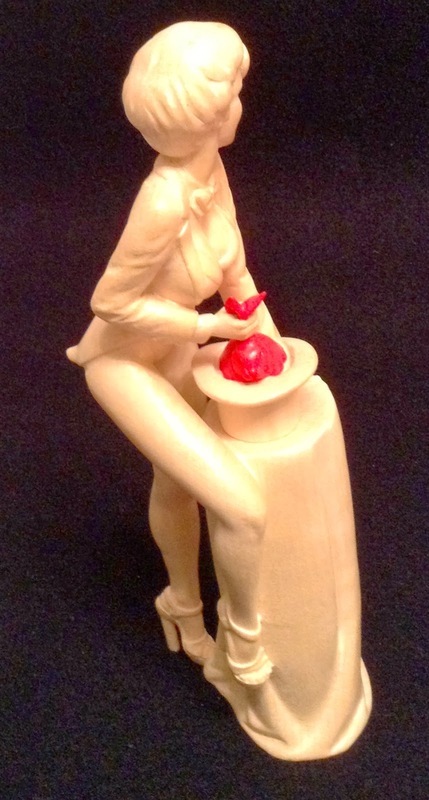 This figurine is 9 inches tall and there are still some available if you are interested in adding it to your collection. Just visit his website http://www.ben-godi.com/artwork/natural-girls/i-am-not-your-rabbit.html And there are additional views of the figurine on the site, it's a wonderful piece. Thank you to Christina from Luxembourg for the contributions! Love the Tommy Cooper! Thanks for this.